Guitar Lessons Angel Islington. Bruce Music: Guitar Lessons London provides Guitar lessons, Bass Guitar lessons, Ukulele lessons and Piano lessons to students of any age and any ability. We cover anywhere in London and all its surrounding counties. We have a dedicated, expert Guitar Teacher in each area, ready to visit or host you for the highest quality Guitar lessons. In our London Guitar Lessons series of blog posts, each blog will focus on a different London area, to tell you about the Guitar Lessons service we provide in that part of the city. Furthermore while we’re on the subject, we’ll look at the musical history and stories that the area holds too. Today, we’re making a start on our Guitar Lessons North London with Guitar Lessons N1 – Angel, Islington. First of all there’s Angel Studios – built and established by the library music specialists De Wolfe music, and containing an amazing Speechley Pipe Organ that dates back to 1888. 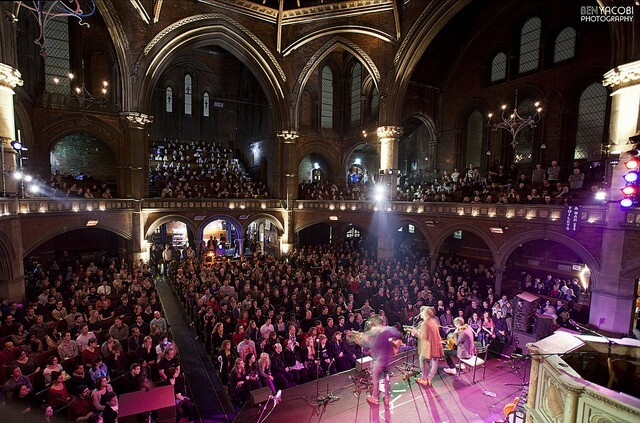 Then there’s the beautiful Union Chapel – A church and venue in Islington that makes for an intimate, beautiful live music experience. This venue comes highly recommended. Three of our fantastic London Guitar Teachers can visit you in Angel, Islington, in London’s N1. This includes the surrounding areas of London too – Highbury, Holloway, Clerkenwell, Hoxton and Old Street. As standard we travel to you at your home, office, or other location of choice but can also visit you anywhere in Islington for Guitar Lessons. We are available at any time on a weekday, evening or at the weekend. Our London Guitar teachers are professional, experienced, and friendly working musicians. At Bruce Music our progressive Guitar teaching methods and our excellent customer service set us apart. We provide the highest quality Guitar Lessons London – To book, enquire, or discuss anything at all about your Guitar Lessons Angel Islington / N1 – please get in touch now.